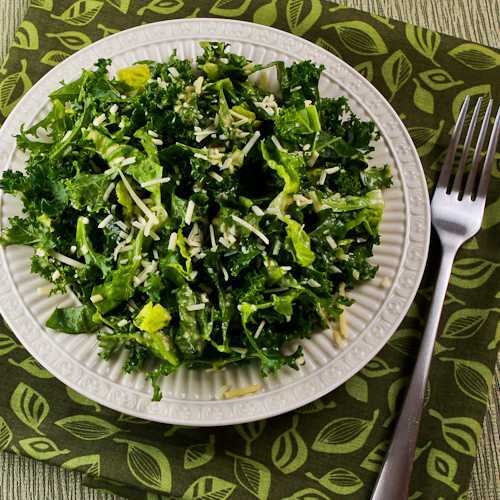 This ready-to-eat baby kale is a great product for anyone who’s trying to eat more greens! This ready-to-eat organic mixed baby kale from Earthbound Farm is another one of those products that made me think about jumping up and down and squealing when I spotted it in the grocery store. My love for kale is well documented, and although I don’t mind prepping bunches of kale, this mix of ready-to-use baby kales is so perfect for raw kale salad that I know it will help me to eat more kale. This is also just the amount of kale I need when I’m making some kind of egg bake, breakfast casserole, or soup with kale. So far I’ve only found this at the Fresh Market in my neighborhood, but it’s such a brilliant idea that I’m guessing it will be appearing in more stores soon! Here are a few recipes from Kalyn’s Kitchen where this product would work perfectly. The baby kale would cook a little faster than bigger stalks of kale, so adjust the cooking time if needed. Earthbound Farm probably doesn’t know I’m alive and they have never paid me or given me samples to write about their products. All items featured as Kalyn’s Kitchen Picks are things I will happily buy over and over, and because I want readers to know that my opinions are completely unbiased, I no longer accept sample products of any kind. 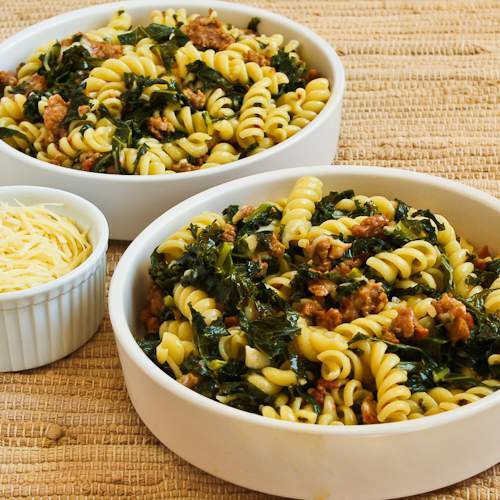 If you have a great recipe idea using kale, please feel free to leave your recipe link in the comments for this post! You can see the list of other Kalyn’s Kitchen Picks if you’d like to know what other products I’ve liked well enough to feature them on the blog. I was just blogging on my site about this baby kale and saw yours. Thank you for all of the great recipes!! I have a recipe for an Italian potato soup that this would be delicious in. I'll have to see if i can find it in my area. Jenn, will have to check for it at Winco here. Kelly, I just made something with it today! I can see you squealing over this! I buy this too and yep — it's so easy to just add it to whatever I want. Nice collection of dishes there, Kalyn! Saw it at Winco yesterday. Made me a happy girl. Although it didn't look like the popularity had caught on since most of it was close to the use by date. Hope it catches on and sticks around. Thanks Kim, but unfortunately I don't have CNBC. 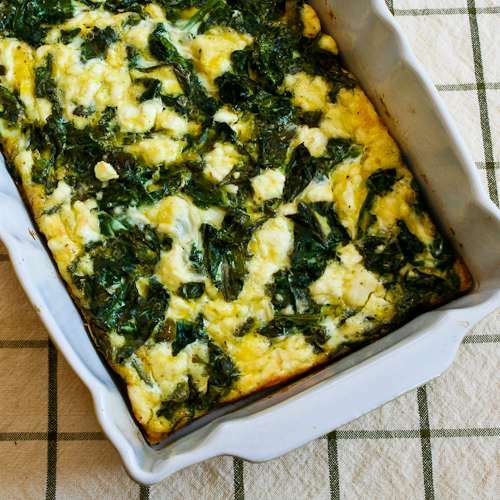 Kalyn – I love your recipes and have been following you for years. I know you are a big fan of Costco. CNBC is airing a special, the Costco Craze on 4/26. Be sure to tune in! Amber, this is a great way to get more kale. Joanne, sounds like I need to look for the kale blends at Whole Foods, thanks! Louise, I think you could make the rice and kale with quinoa, but adjust for the shorter cooking time for quinoa and the kale would need to be pre-cooked longer as well. Karen, thanks. I talk about why I don't provide nutritional information in the FAQ. Hello!! I just love love your blog! I came across the same baby kales product last week for the first time and you will never guess where… The .99 cent store!! Ha!! I was secretly squeeling as well! We use a ton of kale in smoothies. I have 3 little ones who love their green smoothie of kale, fruit and 1/4 a lime. I found these Baby Kales recently at Whole Foods in Oakville, Ontario. Very convenient to use and a lighter flavor than regular kale. It's like comparing baby spinach to regular spinach. Thanks for the inspiring many inspiring recipes! Would love to see more nutritional information on your recipes ( such as fibre, fat, protein, carbohydrates) I am a lifetime weight watchers member and it would be helpful to convert some of your recipes to their Points + system. Hello! I'm new to your blog and just love love it! I just found the same baby kales at, get ready, the.99 cent store last week!!! I did a happy dance too. It was the first time for me seeing this product. We have 3 picky eaters at home so I do kale smoothies with 1/4 lime and fruit and they love every drop. Oh, I want that those baby kales! My local store stopped carrying Earthbound Farms. 🙁 I will be looking for this product, Kalyn–thanks! 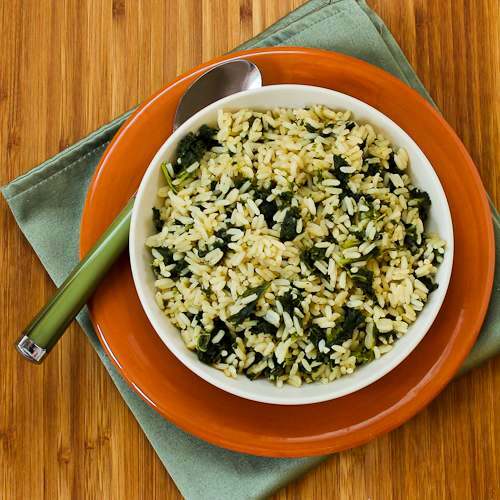 Can Quinoa be substituted in your Creole-Spiced Rice and Kale dish? I love kale and trying to find some recipes to use quinoa. What other recipes can you suggest using quinoa? There are a few mixes like this at whole foods that i LOVE. They also have a power mix with swiss chard, kale, mustard greens, collards, etc. It's great! Oh wow! If I could find this I would use kale much more often. I'll keep an eye out for it. Thaks Kalyn! 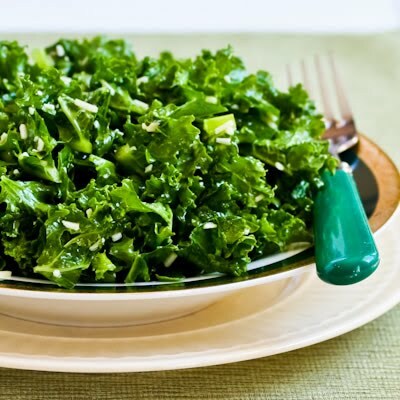 What a great list of kale recipes! I have tried Earthbound Farms before I believe, will have to check them out. Betsy, I think we need to start lobbying the Utah Costco stores to carry it! Hi Kalyn! I've been buying this almost weekly at our local Utah Whole Foods stores! Love it! I wish our Costco's carried it in the big box! Pam I buy the arugula often as well! This is wonderful!!! I love their arugula, use it all the time. Deb I would be so excited if I found it at my Costco. Haven't seen it yet, but I think I will ask them about it. Hi, Kalyn. I got a huge bag of Earthbound baby kales @ Costco last week. I was so happy to see it! A one and a half lb bag is $4.79! That's a lot of baby kale! I just hope they continue to carry it. Thanks Heidi. Will have to look for it at Whole Foods here. Whole Foods in Louisville also carry the baby kales and like you, Kalyn I love them. So tender and easy to add to a salad. Lydia, it is so handy! Kale is my 2012 vegetable-to-use-more-often, so I'm definitely going to ask my local market to get this mix. Kathy, just went to the store and they were on sale 2/$5 today! Love this product. I'll be on the lookout for it! Cleaning greens is one of my least favorite kitchen tasks so I don't mind going for the pre-cut stuffed, and I like Earthbound Farm. I also like getting the pre-cut greens at Trader Joe's. Debbie, thanks so much (comments like that really make my day!) And I'm glad to hear of another store that carries this. That's two of us who were jumping up and down! Just wanted to say that I found your blog through Pinterest and I ADORE it. You have the most amazing recipes. I have made 3 of them and loved them all. THanks for all your hard work.